Explore Cape Town and the Winelands by bike. Looking for something a bit… different? Breathtaking ‘big day’ settings near the CBD. Third most important person at a wedding. The nifty new way to navigate to any precise location. Looking for love and laughs? Try an outside-the-box date. Find a new hobby, new friends, or new career. Start the lunar New Year off well. Cuisine, carols and classic cinema. A parent’s survival guide to the school holidays. Take a break from city life. 6 fun ways to be more eco-conscious. Celebrate Mandela’s centenary with CTO’s acclaimed show. Whether it’s a day trip or week-long stay, here’s what to do. Entice the kids off the couch and into action. Brilliant ideas for your 5 day break. 9 special places you ought to check out. 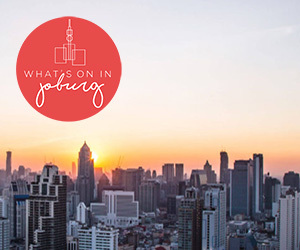 Urban wine-tasting sessions for city lovers. Five reasons why Elgin should be on your To Do list. A round up of 10 of the best events this month. What to do in this trendy, hipster town. 8 places to explore locally-crafted gin this summer. Get your dancing shoes on and have fun getting fit. Allow your child to express their creativity. Be bendy rather than breakable in 2019.